Elizabeth Arden 8 Hour Cream Skin Protectant - I've included this little miracle product in favourites before but I've been applying this each night before bed and my lips feel great in the morning. Even in the summer I get really dry lips so a good lip balm is essential. 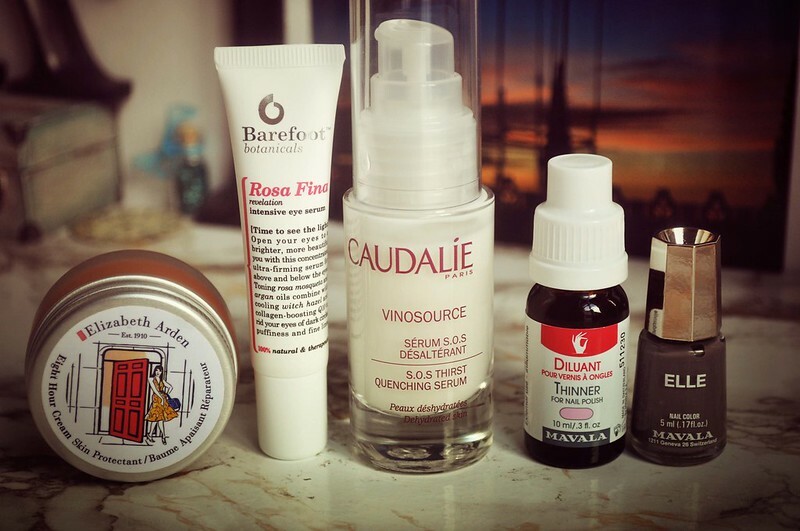 Barefoot Rose Eye Serum* - I can't rave about this enough, you can read my full review here. I've actually applied this every night this month which is crazy for me as I'd never been a fan of eye creams before or even tried that many. Caudalie Vinosource S.O.S Thirst Quenching Serum - I just love the scent of this and wished all my skin care smelt like it. I can't even describe what it smells like, I just love it. This also works wonders for my skin. Mavala Thinner - I never thought a nail polish thinner would actually work but this one from Mavala has been working wonders on some of my polishes that I may have otherwise thrown away. I can now apply those polishes with ease and can simply add a few more drops if they go gloopy again. I think a full review of this will be coming soon! Mavala Elle Nail Polish - This is actually one of the first Mavala polishes that I tried and it's a lovely colour. Although the photo doesn't show the true colour, it's what I wanted OPI's Don't Know Jacques to be. It also has a great formula and I can even get away with only 1 coat sometimes. Although I'm giving my nails a break at the moment I'm sure a NOTD will be up soon. 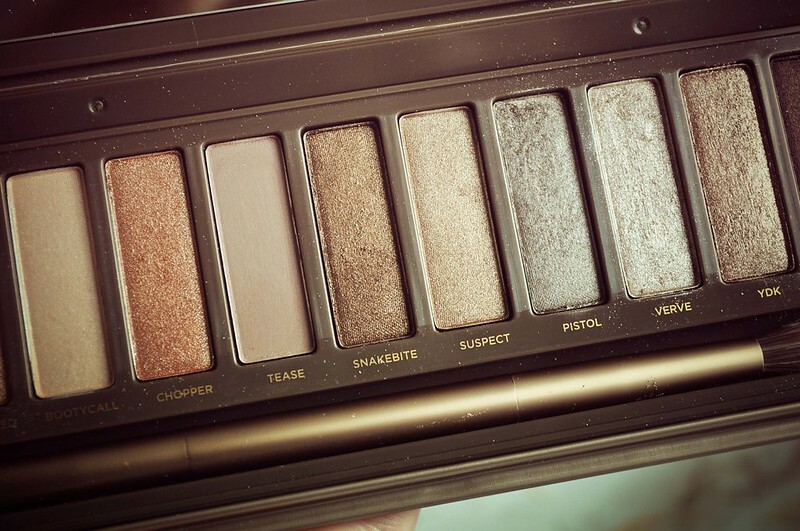 Urban Decay Naked 2 Palette - Although I've had this for a while now I don't think I've mentioned it on the blog at all. The two colours I've been using and loving at the moment are "verve" and "pistol". Verve is just the colour I've been wanted but haven't been able to find.